Already established a good repution in the business with 2 previous albums (one split album and one full-lenght), second full-lenght “800 miles” by Örebro’s Blowback is nothing less than a fist of pure 70’s groove and attitude hardrock right in the face of the listener. 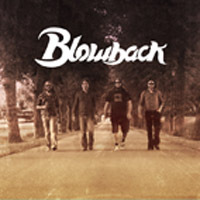 Recorded in Unisound by Dan Swanö, Blowback gets a sound most 70’s bands would kill for, a thick full sound while still maintaing that special feel that few bands today can manage. Some may call it stoner some may call it classic hardrock we just call it damn good high octane rock’n roll! First pressing in sombre digipack.